Now here’s something you don’t come across every day – a new AI-enhanced texture pack for the Gamecube version of Metroid Prime. Created and released by ResetEra user ‘Collige’, this 1.8GB texture pack uses AI-enhanced techniques like ESRGAN to significantly improve the game’s textures while retaining the Prime’s original style. According to its creator, his ‘Metroid Prime 1 Full Game HD Texture Pack for Dolphin’ includes roughly 7000 ESRGAN upscaled textures (manga109 model), and an additional 2000 upscaled with waifu2x-caffe (UpRGB model). Please note that this HD texture pack can only be used on PC through the use of the Gamecube Dolphin emulator and only works with the original Metroid Prime for Nintendo’s Gamecube (GameID GM8E01). The pack doesn’t work with the Metroid Prime Trilogy. 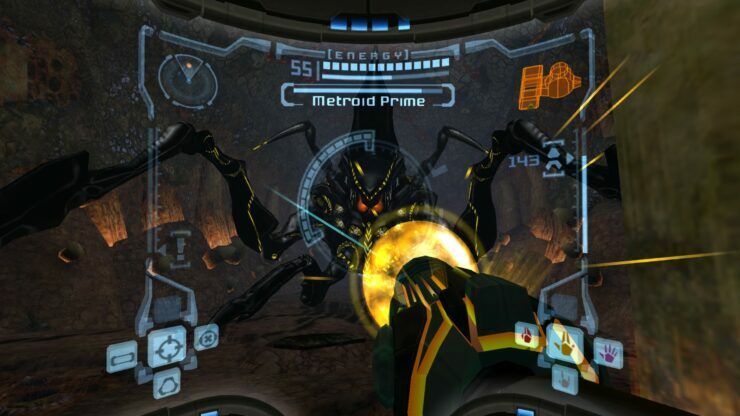 Those interested can download the PC Metroid Prime enhanced texture pack through here.